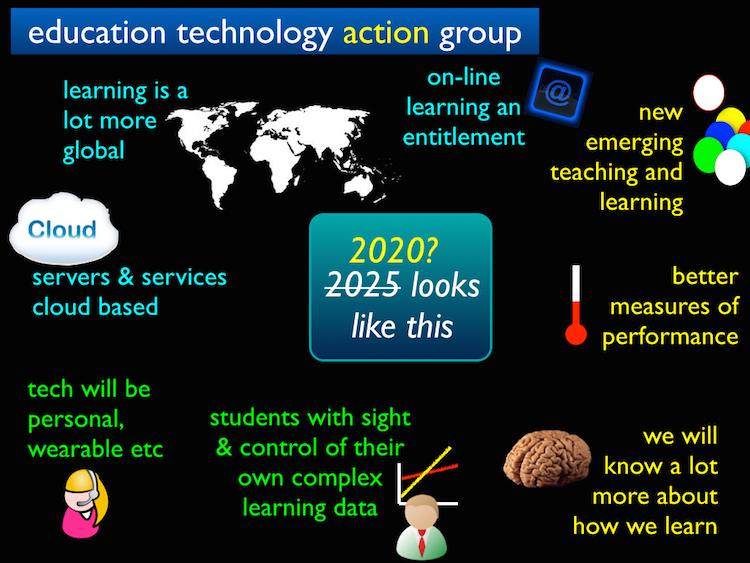 Following the publication of the FELTAG report, a new group, ETAG, the Education Technology Action Group, was set up. The ETAG group was set up in February 2014 by three ministers: Michael Gove, Matthew Hancock and David Willetts and followed on from good work done by the DfE group and by the Further Education Learning Technology Action Group. ETAG’s remit covers schools, colleges and universities. Between 23rd April and 23rd June 2014, ETAG is seeking your input. We seek contributions on key issues about the future of technology in education. Contributions can be made via Twitter #etag or email (see the ETAG contributions page for further information) and we will also be using this site to help get the conversation started.